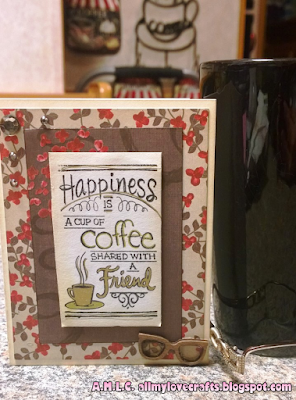 All My Love Crafts: The Fall Coffee Lovers Bloghop is Here + Chance to Win! The Fall Coffee Lovers Bloghop is Here + Chance to Win! This is, for me, the most wonderful time of the year! Cooler weather, nature's beautiful colors, and, most importantly...pumpkin everything! 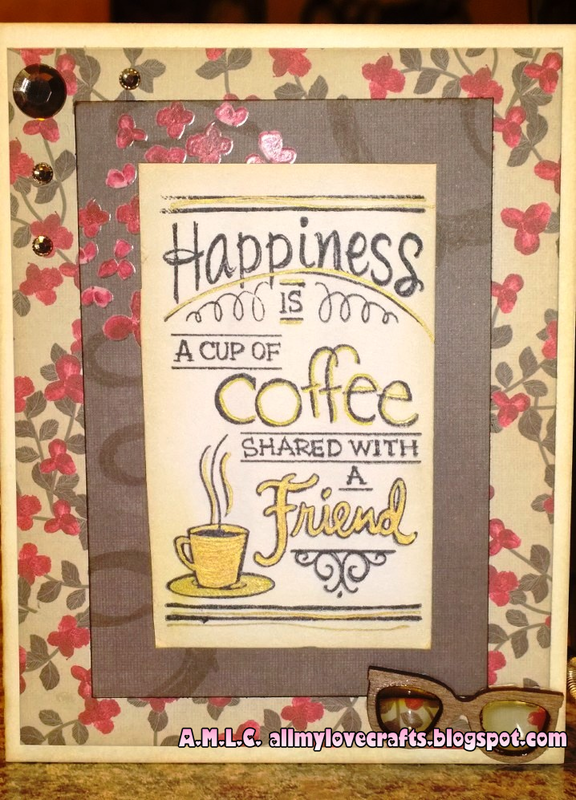 Today is also the first day of the Fall Coffee Lovers Bloghop and I'm sharing my first card with you. I wanted to start this hop off with a clean and simple card. 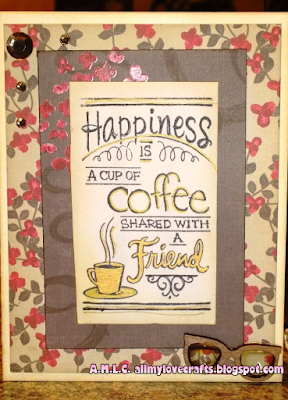 I distressed the edges with Antique Linen Distress Ink and used my favorite coffee stamp for the sentiment. 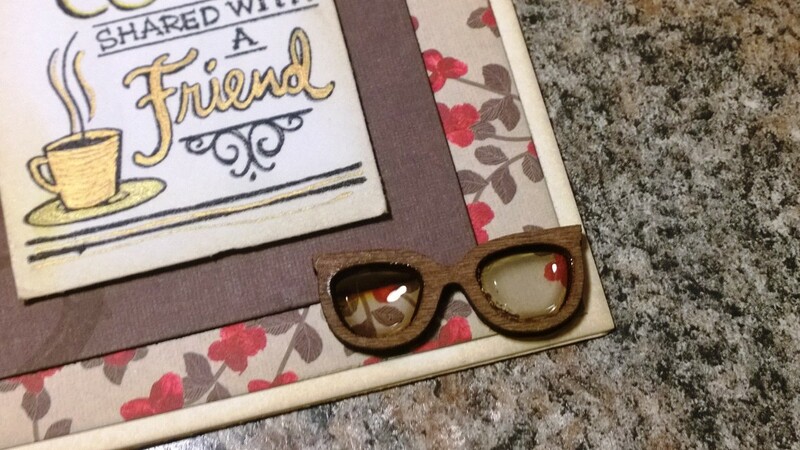 The cute wood veneer glasses I found in a Coffee Break wood veneer set at Hobby Lobby and may put some in the very first AMLC giveaway! *hint hint* To make them shiny, I filled each lens with Glossy Accents. 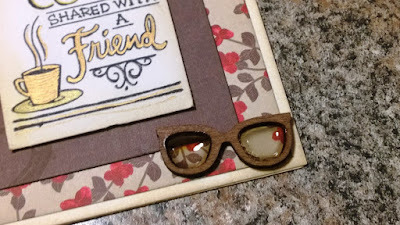 I plan on picking a winner the first of each month to win a small prize package possibly containing one or more of the following: creations made recently, paper-crafting supplies, embellishments, buttons, stickers, gift cards, note cards etc. For this Fall Bloghop however, I will not pick the winner until October 4th! This gives everyone participating a chance to view all the blog posts and sign up for those doing giveaways.